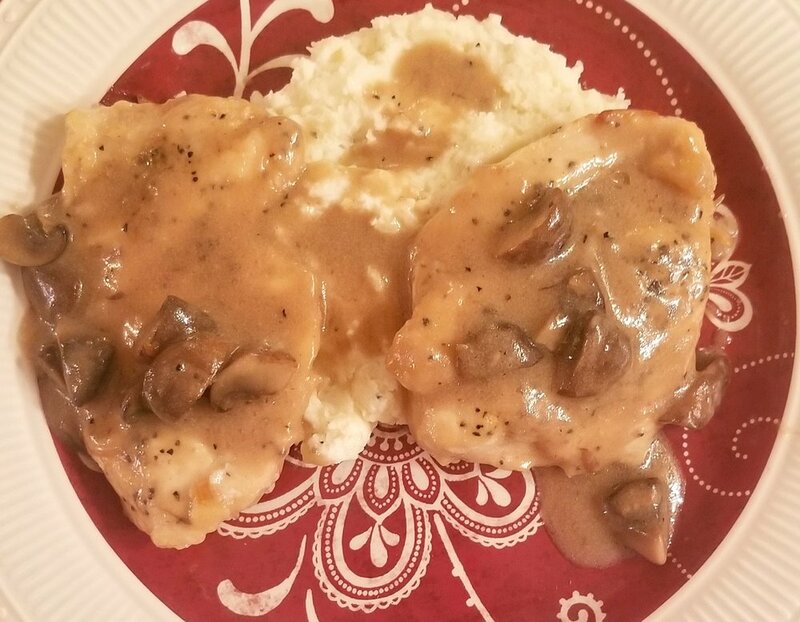 Meal Notes: Chicken Marsala is one of my favorite meals to serve for a leisurely dinner with company, but it’s also a surprisingly easy meal to whip up for a random weeknight. Serve with Trusty Garlic Mashed Potatoes and Emma’s Arugula Salad. Prep Ingredients: Thinly slice mushrooms. Split each chicken breast lengthwise through the middle to make 2 pieces. Place plaster wrap over chicken and then pound flat with a meat tenderizer mallet (if you don’t have a mallet, a rolling pin will do in a pinch) . Pound until chicken is about a quarter inch thick. Cook Chicken: Season chicken generously with salt and pepper. Place flour on a plate and dredge chicken in it. Heat in a large skillet over medium heat and, when oil is hot, add chicken. Fry for 3-4 minutes on each side until golden brown (depending on the size of your skillet, you may need to work in batches). Remove chicken to a second plate. Make Sauce: Reduce heat to medium. Add butter and mushrooms. Saute mushrooms for 4-5 minutes, seasoning with salt and pepper to taste. Add marsala wine, chicken stock, sherry, and cream. Cook until liquid reduces slightly, about five minutes. Add chicken back into skillet, give it a turn to coat in the sauce, and then remove from heat. If you have parsley on hand, chop up a little and sprinkle it over the chicken before serving.